My name is Kevin and I’m a web designer with a fondness for clean and straightforward solutions and design to satisfy both client and customer. My area of expertise lies in HTML, CSS, and PHP to develop dynamic websites. I take pride both interacting and watching others interact with my work and whether it’s one-on-one or as a member of a team, take joy in working with other people. For more details, download my resume. The Applied Technology Institute is a company based in Riva, MD that develops short courses in the fields of aeronautics, sonar and radar, missile defense and related fields. During my time there, I was tasked with rebuilding the website to make it more accessible and mobile-friendly to keep up with the best practices of the ever changing environment of the web. Herrmann Advertising, Branding, and Technology is a company based in Annapolis, MD that specializes in all forms of media campaigns. During my time there I assisted in development of many websites created by the company using an in-house developed Content Management System, many of which span law firms nationwide and small business locally. Anime3000 is an enthusiast/podcasting site dedicated to Japanese Animation, Anime Outsiders is an off-shoot side with the same enthusiasm that prides itself with more unconventional opinions. I manage the content of these sites through WordPress and recoding many of the platforms built in plugins as necessary to foster growth. 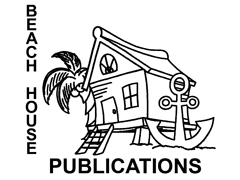 Beach House Publications was a small company that specialized in publishing achorage guides for the sailing community. Some of my earliest work was developing a site for their signature product "The Great Book of Anchorages." During it's time online, the site provided information on the books, a purchasing link, author bios, testimonials and more. The book series is now a part of Maptech. 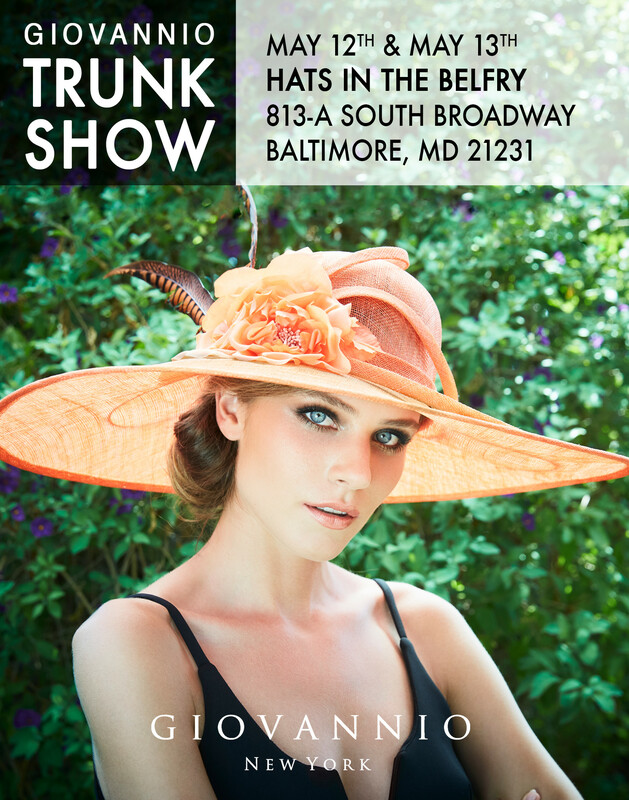 Hats in the Belfry is a high-end hat retailer with locations in Annapolis, Baltimore and Philadelphia. This is an animated GIF for an email advertising a sale on select Men's Hats. 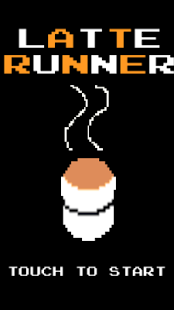 A series of mock logos designed for the charity Games Done Quick. The idea here was to develop a logo in the style of pixel graphics from video games at the time while incorporating colors associated with the Nintendo, Super Nintendo and Nintendo 64 console hardware. 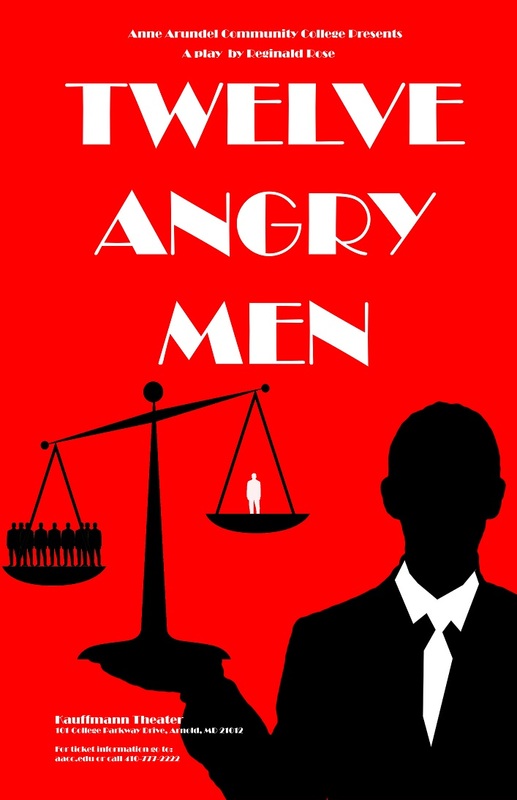 A mock poster for the play "Twelve Angry Men." Developed as an excercise in print composition while utilizing a minimal amount of color. 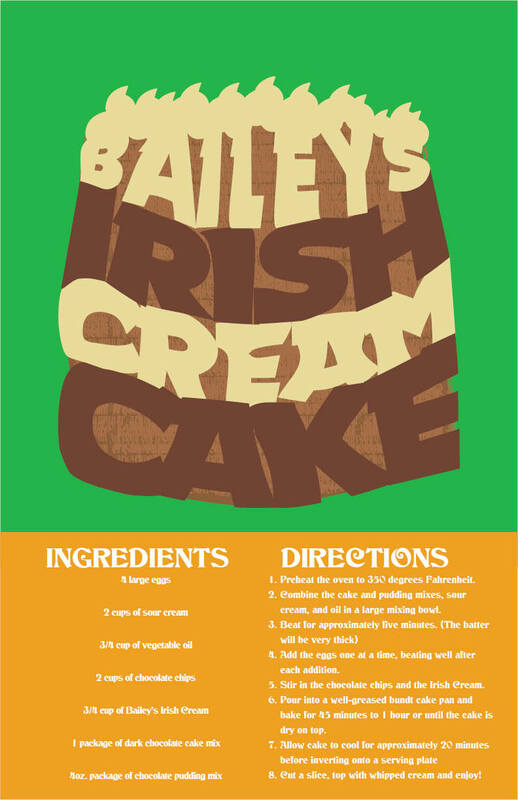 A poster featuring the recipe for an Irish Cream Cake. This was an exercise in modifying type and using it as an illustration to convey the confection being represented. These are experimental compositions of expressive type where letter are arraged, modified and repeated to convety the meaning of the word visually. 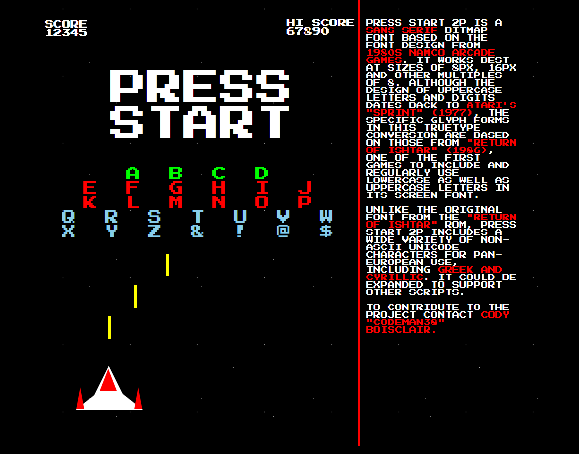 A web page dedicated to the "Press Start 2P" typeface found on GoogleFonts. Modeled after the old arcade games of the 1980's the web page uses the featured bont and visual designs constructed entirely in CSS. No images are used. Check out more Graphic and Visual Design on here on Flickr! A web app designed to simulate the effect of gravity on a planets surface. The user can enter the weight of an object, select the planet on which the object is falling, and witness the result happen on screen with the objects force in Newtons given. A game available on the Google Play Store for Android devices. The object of this game is to run across traffic to the nearby cafe and collect as many cups of coffee within the time limit. Cappuccinos will appear to extend your break time. If you manage to collect five cups without getting hit by traffic, you might encounter a super powering and high scoring Pumpkin Spice Latte! 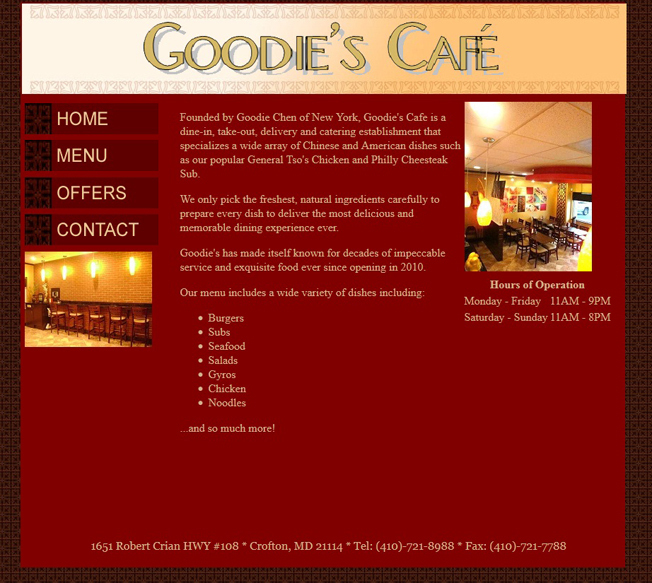 A exercise in website redesign of a local Chinese/American restaurant. The previous site had a multiude of design issues, including language oddities, and I sought to make some "improvements". Although the current site is vastly different, the sections of this site were based on the original design at the time. 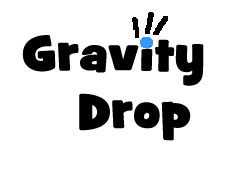 Cloudscratcher is a webcomic created by Cody Baier, in addition to building and maintaining the main site, I developed a seperate version designed for reading and viewing on mobile devices. The mobile version also marks my first completed project using Adobe Muse. 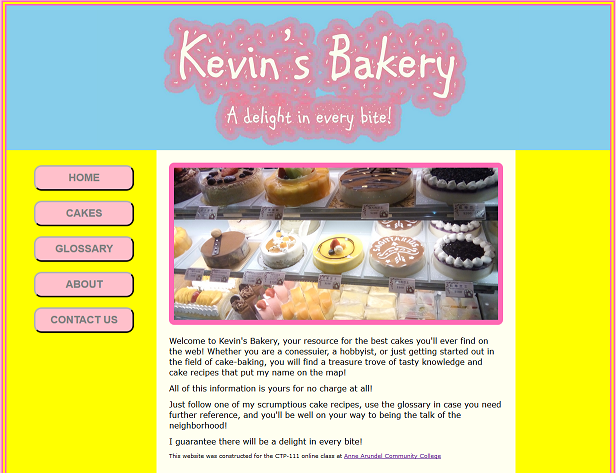 Another experimental website for a mock bakery. Based on an earlier project from college, this bakery website lists different recipes for cakes, cookies, pies and breads. It also includes other features like a baking glossary and is responsive for different screen sizes and mobile devices. A game built for the "Low Rez Game Jam 2016" featured on itch.io. 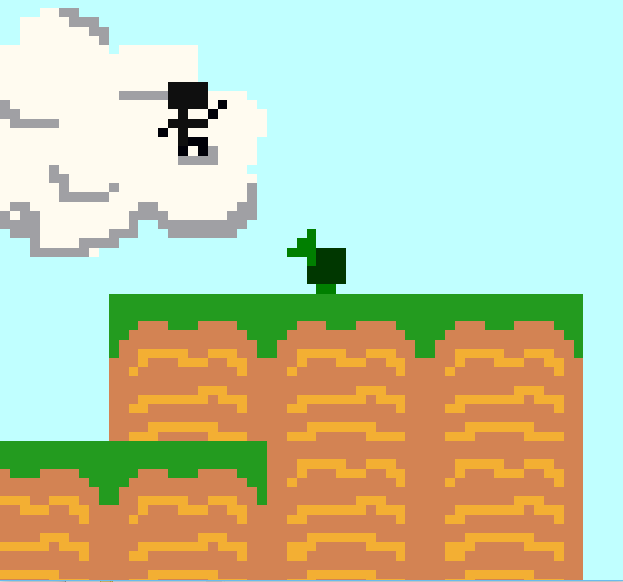 This simple platforming game was built within a two week time frame where the constraints were to build a project specifically at the 64 x 64 resolution. Ranking at #275 out of 384, I don't think it was a bad shot for my first game jam!